The penultimate plant in this Midsummer collection! I asked my fans on Facebook which plant they would like to see next and most said Foxglove but quite honestly I haven’t figured out how I’m gonna make that yet so I’m going for this one. 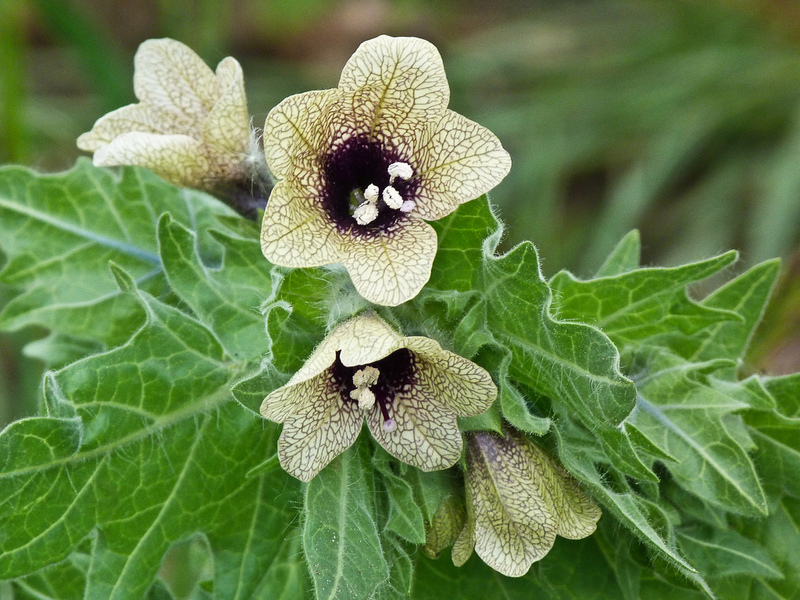 Lovely, deadly stinking Black Henbane. This one gets me excited. It is reputedly so poisonous, the smell alone can cause giddiness. 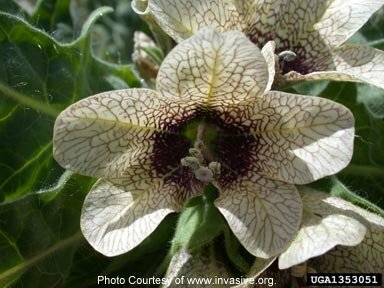 It is poisonous in all its parts, and neither drying nor boiling destroys the toxic principle (like Belladonna the plant and seeds contain hyoscine, hyoscyamine, atropine, and scopolamine (tropane alkaloids). The leaves are the most powerful portion. 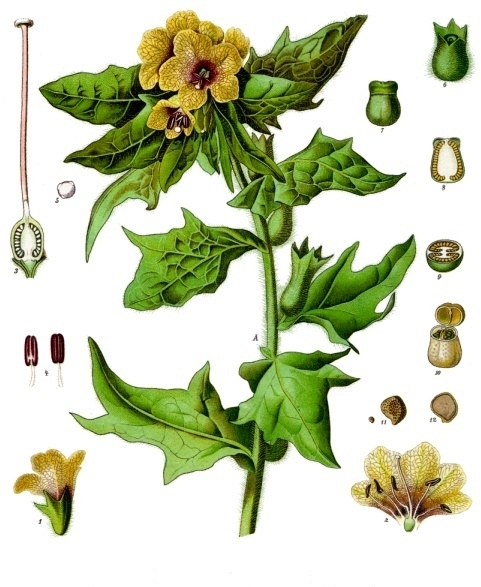 Accidental cases of poisoning by Henbane are, however, not very common as the plant has too unpleasant a taste and smell to be readily mistaken for any vegetable, but its roots, which are thick and somewhat like those of salsify, have sometimes been gathered and eaten. The effects are varied but in general cause hallucinations, drowsiness, stupefaction and disorientation. In sufficient doses the plant can be very dangerous causing unconsciousness, mania, violence, seizures, trembling of limbs and in extreme cases death. The seed heads look like a piece of jawbone complete with a row of teeth. 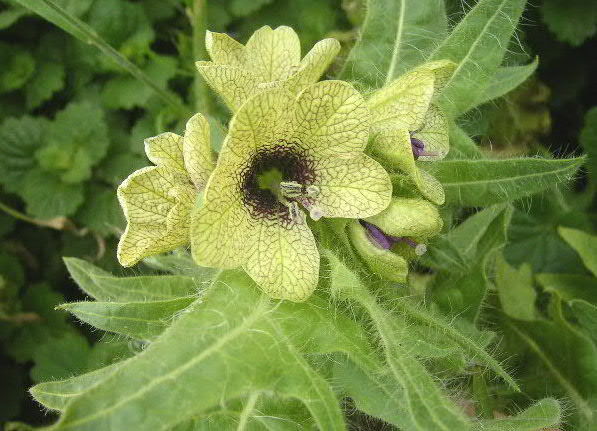 This plant was, therefore, used in dentistry from ancient times. The hallucinogenic, soporific effects of the plant would have made people forget the toothache. In the 13th and 14th centuries, witches reputedly narcotised themselves by a special salve containing extracts of belladonna and henbane. If it was spread onto the skin, it caused vivid hallucinations of flying in the air, wild dancing and abundant feasts – the famous ‘flying ointment’. In mythology, we read that the dead in Hades were crowned with it as they wandered hopelessly beside the Styx. I love this idea. Presumably when worn it attracts ‘love’ because anyone going near you would swoon in your arms? Procrastination, Distraction, and Getting On With It.